Children and teens are especially vulnerable to the radiation emitted during the everyday use of tablets, cell phones, laptops and wireless routers. This eye-opening documentary investigates the potential dangers of prolonged exposure to Radio Frequencies (RF) from wireless technology and its effects on our health and well-being as well as the health and development of our children. What does “prolonged” look like? Most teenagers in the mall, all day in a wi-fi classroom or office, sleeping with a cell phone on at the bedside, to name a few scenarios. 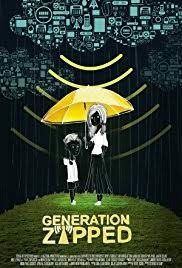 In interviews with oncologists, pediatric cancer scientists, public health specialists and a neurologist and brain development researcher, among others, this film makes an excellent case for using the “precautionary principle” when it comes to our use of wi-fi and cell phones. The film presents the essentials of both why and how to protect ourselves and our children from excessive exposure to wireless radiation. There will be a post-screening discussion lead by Katharina Gustavs. Katharina believes that electromagnetic fields matter. In her experience the electromagnetic quality of our living environment is just as essential to human health as fresh air, clean water and healthy food. After performing hundred of EMF (RF) assessments and with a background in environmental and occupational health, building biology and nutrition, she enjoys the detective work of identifying elevated sources of electromagnetic fields and developing strategies on how to measurably reduce the exposure. She recently translated the “EMF Guideline for the Prevention, Diagnosis, and Treatment of EMF-related Health Problems and Illnesses” by the European Academy for Environmental Medicine. Katharina will arrive early (before 7:00) if anyone is interested in having a one-on-one with her. She will bring some copies of the Environmental Working Group (ewg.org) guide to safer cell phone use. Since the film night is on the same evening as the EMCS students’ “10,000 Tonight” drive to collect donations for the Sooke Food Bank, consider bringing a food item (or 10) to contribute to their effort.